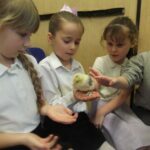 Throughout year 2, the children will cover a wide range of topics in a cross-curricular way. The core subjects of maths, English and reading will be taught daily and these subjects will be enhanced by topic lessons in the afternoon. The topic webs for each half term are available within the year 2 year group page so please feel free to look at these and speak to a member of staff if you can help in any way with your child’s learning in school. Reading is a high priority across the school and the expectation is that you support your child with reading for a minimum of 15 minutes per night. This provides opportunities for your child to practise the skills they are learning in school to further develop their reading and comprehension. Your child takes part in a weekly spelling test with their phonics teacher. It is vital that these spellings are learnt at home as they will directly benefit the quality of their writing in school. Any words needing more work will be identified in your child’s home school diary. 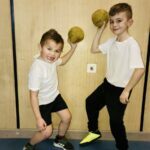 PE is every Friday afternoon but it is advisable for your child to have their PE kit in school all week as additional PE sessions are held throughout the year by external providers. In preparation for the new times tables test in year 4, all year groups are now using Times Tables Rock Stars. 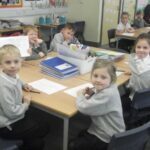 Your child will have their own log in details for this and the website allows then to practise their times tables at home, in a fun and interactive way. Design your own avatar and challenge yourself to move up the scale!